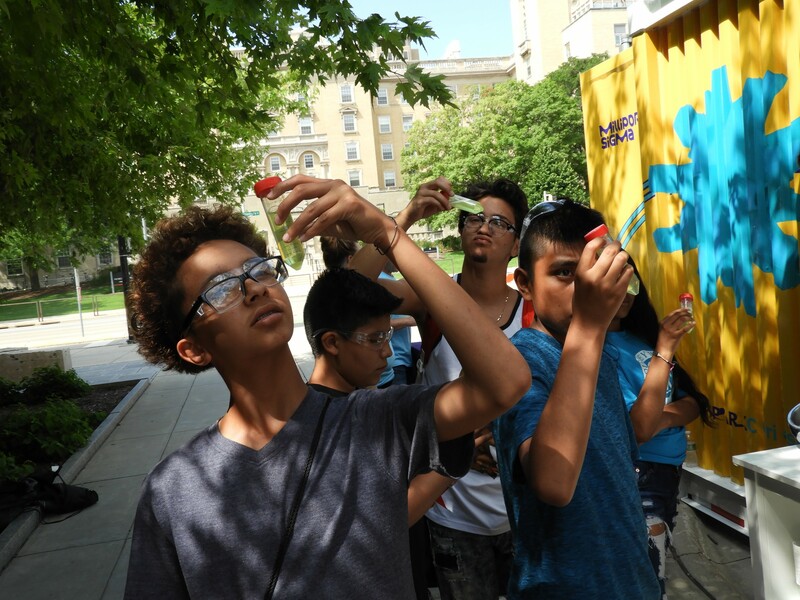 This summer 19 4-H SySTEMatics youth chose to spend two days learning more about STEM (Science, Technology, Engineering, and Math) careers and college options. The 4-H SySTEMatics program has included a yearly summer program to continue building and nurturing the youths’ interest in learning, STEM, and planning for their future. This year we created an exciting two day experience focused on hands-on STEM projects in career and college settings. 4-H SySTEMatics students use a welding simulator at LAB Midwest. On the first day the 7th and 8th grade students learned about the STEM skills gap: how the current US workforce is lacking some of the skills needed by modern industries. 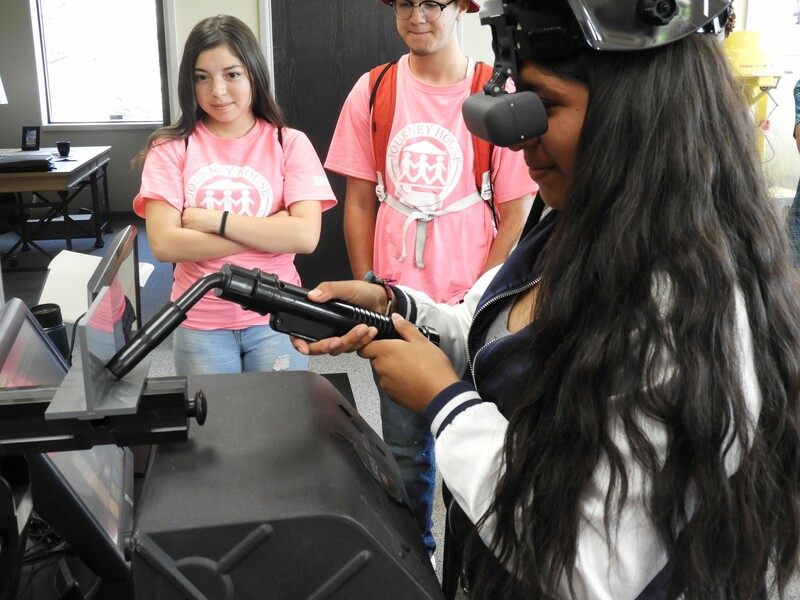 Youth interacted with innovative technology at LAB Midwest including a welding and tractor simulator, electrical engineering equipment, and an AV Rover 3D projector. The youth also learned about horticulture at the UW-Extension office with Urban Agriculture Program Director Dennis Lukaszewski, creating an experiment using various plant clippings. The youth were able to explore the UW-Milwaukee Great Lakes Studies building and were challenged to build a water filtration device. 4-H SySTEMatics students look at plant DNA they helped extract at the Wisconsin Institutes for Discovery. The second day was spent at UW-Madison and focused on engineering. The youth toured the campus and were able to ask the UWM student tour guides a variety of questions about college life, majors, and classes. They also were introduced to the Engineering Summer Program (ESP), where high school students stay on campus all summer to learn more about the engineering field. The ESP high school students were great role models, discussing future plans and ideas with the 4-H SySTEMatics youth in small groups over lunch in one of the bustling residence halls. The day ended with a series of hands-on STEM lessons at the Wisconsin Institutes for Discovery. The lessons included the science of sound, robotics, and DNA extraction. The youth that attended were from Albert Story School, St. Martini Lutheran, La Causa Charter, Journey House, and Fernwood Montessori. 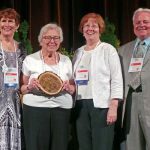 The SouthEast Wisconsin Master Gardeners received an international award for their Gardening Through Life Program at the International Master Gardeners Conference. Learn more! The Equifax data breach involves computer hackers accessing personal data – social security numbers, birth dates, addresses, and potentially more information – of 143 million U.S. consumers. 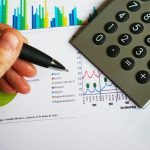 Learn more about what can you do to protect your identity and credit.